Culottes are super comfy, and they’re perfect for spring or summer because they’re breezy, chic, and look better without lots of layers. The problem? They can seem very intimidating and tricky to wear, because they’re not SUPER popular and because they come off as very high-fashion. This doesn’t mean you shouldn’t make them a part of your summer wardrobe! 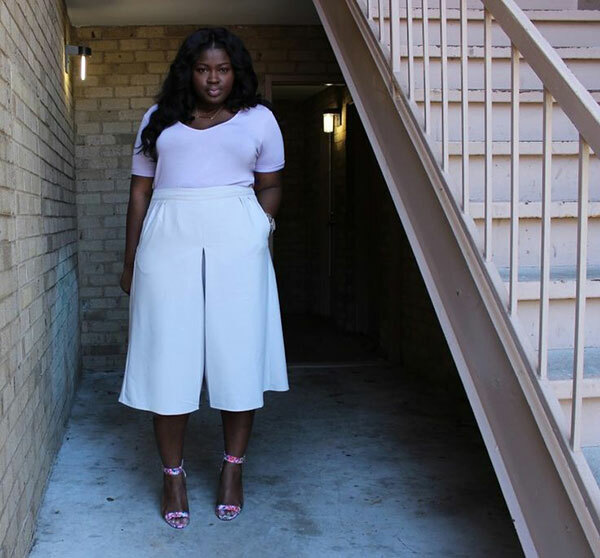 Here are 20 style tips on how to wear culottes with outfit ideas you can copy easily. 1. Keep it chic and professional yet cool with solid culottes, a graphic tank, and a pair of strappy heels. 2. Go for a simple and summery look by wearing light pink culottes with a white tank top and pretty sandals. 3. A cropped tee with culottes keeps these casual, fun, and different. 4. Pair high-waist cutlottes with a bralette and sandals for an easy summer outfit. 5. Printed culottes make a big statement on their own. Keep the rest of your outfit simple with a solid-colored tee. 6. Culottes look great with heels, because they’re so baggy. But that doesn’t mean you can’t rock them with sneakers too! 7. For cooler days, opt for a cropped turtleneck sweater, culottes, and simple heels. This is so easy and chic. 8. 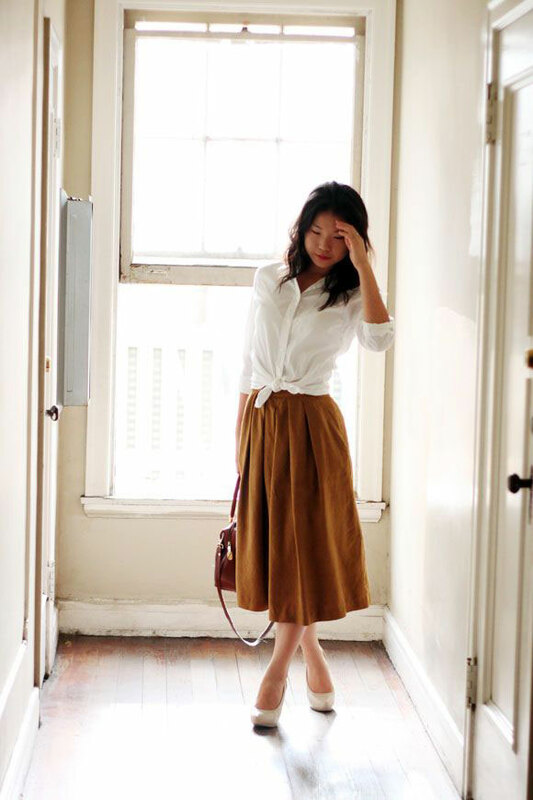 Wear a pair of culottes that ties at the waist, and show that off by tucking your shirt in. Bright colors are really what make this outfit pop. 9. Not into the more stylish look? Keep your culottes super casual with slip-on sneakers and a soft tee. 10. Keep cool in the summer with culottes and a simple striped tank. 11. 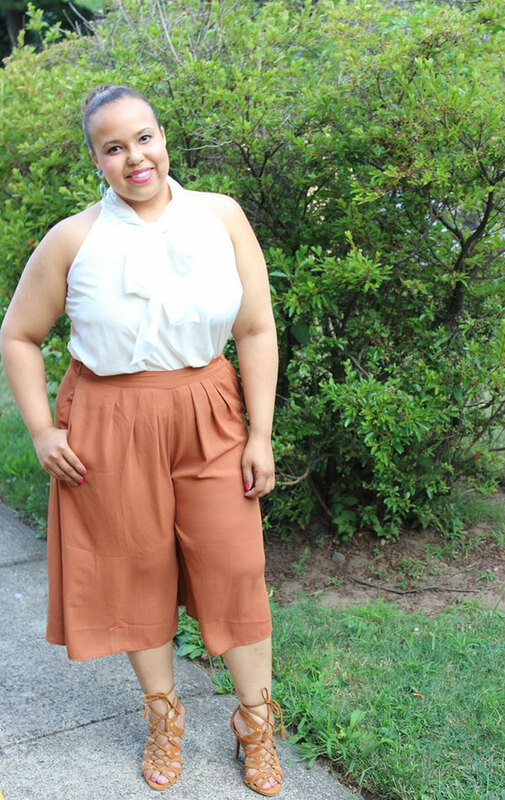 Some people think plus-size girls can’t wear culottes because of the shape, but that’s not true! Tucking your shirt in creates more of a waist, while heels elongate your legs. 12. Feeling chilly? Add a leather jacket to toughen up even the most feminine culottes. 13. Add a blazer and heels for a professional outfit. 14. Tie a button-down shirt at the waist for a cool look. 15. Go for an outfit that is all one color. White on white is super summery and makes this almost look like a jumpsuit. 16. Don’t want to look too baggy? Front tuck your tee. 17. Add a denim jacket to stay warm on cool days. 18. A tank top, sandals, a Panama hat, fun bag, and a bunch of necklaces make this easy look chic. 19. 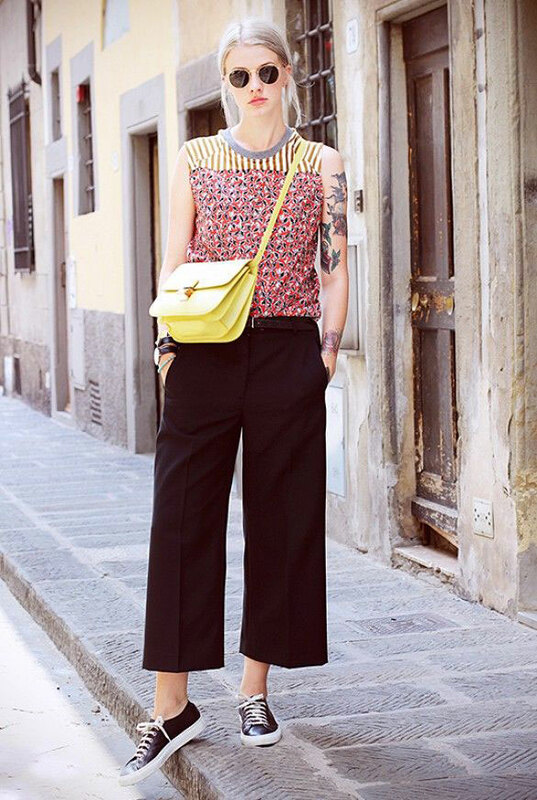 Wear your culottes with a halter top and strappy sandals for a summery outfit. 20. 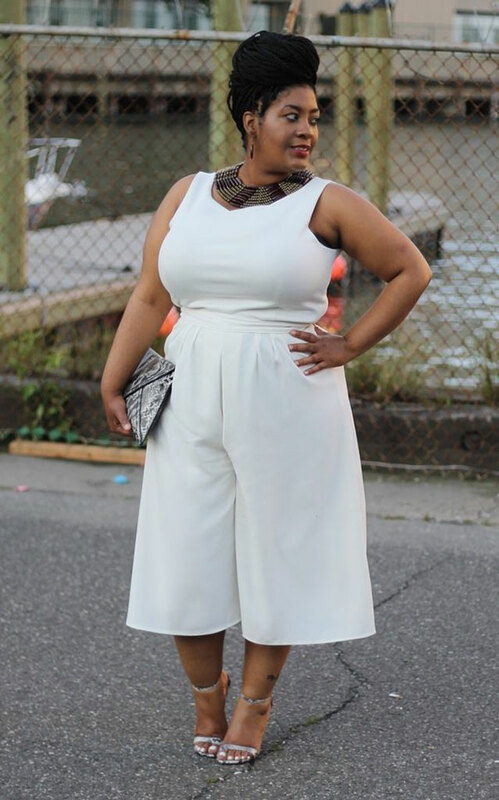 A boxy crop top with crisp culottes looks so chic and cool.